The Marketing Consigliere is pleased to have been invited to attend the Accelerating Social Entrepreneurship Conference at George Washington University today. 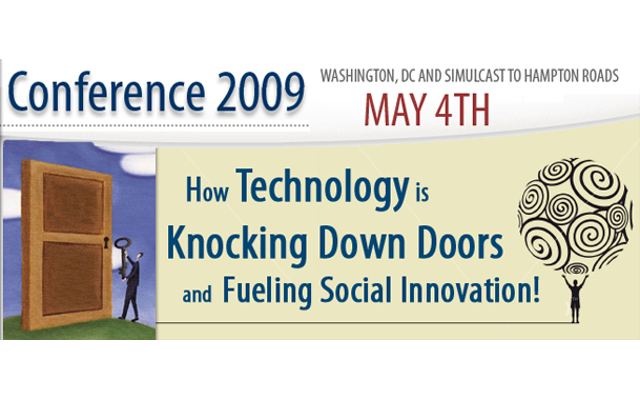 Sponsored by The Phoenix Project and Corporation for National & Community Service, the Accelerating Social Entrepreneurship Conference 2009 should be a very interesting because its focus will be on technology and the role technology is playing in social innovation (and marketing, of course) and where it will take the United States (and world). Attendees include such diverse organizations as NASA, Microsoft, ICF International, Ernst & Young, Craigslist Foundation, DoD, and Alcoa. Of course, the event was being Twittered and the buzz was about social media. Great bunch of people.